I became interested in creating sculptural works in the mid-1970s and continued making them until the early 1990s. These works are constructed mostly of found objects, carved wood, and then finished with a layer of paint. 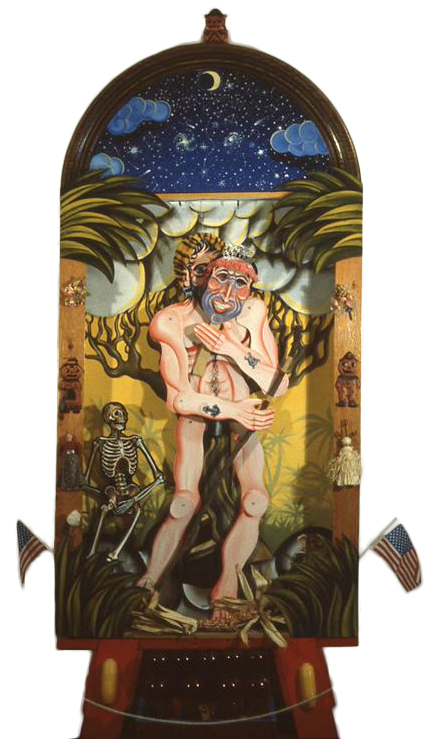 Initially inspired by the 18th and 19th century altars and reredos in the churches I visited in the mountains of New Mexico, these works transformed into visual metaphors relating to folk colloquialisms. The puppet-like figures offered the possibility of changing the scenario. 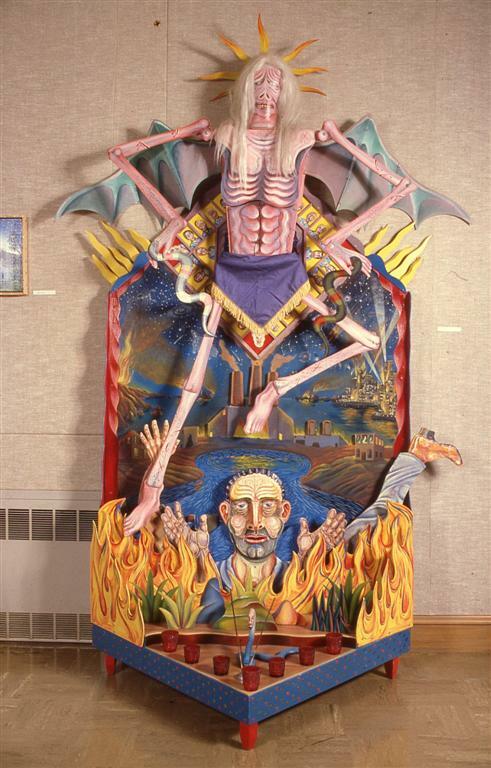 Instead of altars, these pieces came to be called “alters.” This was an attempt to reference that term’s meaning of possessing the ability to change or transform.